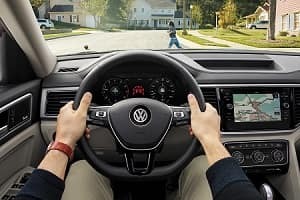 If you’re on the hunt for an SUV that can handle whatever life throws at your in Toms River, Brick, Freehold, or Neptune Township, we at Toms River Volkswagen have some great news for you! 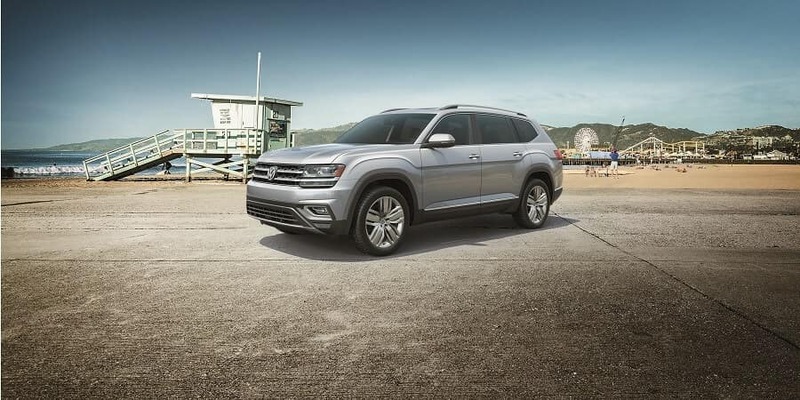 The 2018 Volkswagen Atlas combines all the features you want in an SUV and more. Below, you can learn more about just a few of these remarkable features in our detailed review. Read ahead to get started! The 2018 Volkswagen Atlas offers two powerful engines in its powertrain lineup starting with the standard 2.0L turbo 4-cylinder engine. This engine pairs with an 8-speed automatic transmission with Tiptronic® and Sport mode and this duo delivers an impressive 235 horsepower as well as an efficient EPA-estimated 26 highway/22 city MPG1. You can also opt for the high-performance 3.6L V6 engine. This engine’s whopping 276 horsepower and 266 lb-ft of torque allow for the VW Atlas to tow up to 5,000 pounds in trailer weight when properly equipped. 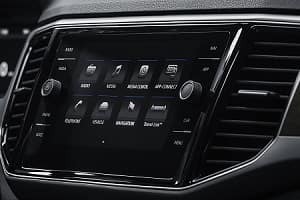 The VW Atlas also gives you the option to add the smart 4MOTION® with Active Control drive system. This system allows you to easily switch between four different all-wheel drive modes including Dry, Rainy, Snowy, and Rough. Customize your power distribution to conquer any driving conditions with confidence. Inside the 2018 Volkswagen, you’ll have plenty of space for both your cargo and your passengers. This model is fitted out with seven spacious seats: two seats in the front row, three seats in the second row, and two seats in the third row. With all seven of these seats in use, you’ll have more than 20 cubic feet of space to utilize. However, if you take advantage of the 50/50-split folding third row and 60/40-split folding second row, the Atlas gives you a world of space customization options. If you choose to fold all five rear seats down, you’ll have an incredible 96.8 cubic feet of cargo space to use. In the 2018 Volkswagen Atlas, you’ll have seven standard stability-enhancing systems on your side. Among these features is Electronic Brake-Pressure Distribution and Electronic Stability Control, which smartly monitor your vehicles power output and braking force to ensure that you’re totally in control. Thanks to these many impressive standard safety features, the Atlas has earned a 5-Star Overall Safety rating from the National Highway Traffic Safety Administration2. However, this model doesn’t stop here – it takes safety a step further by offering a variety of available driver assistive features. These elective features use a variety of smart sensors and cameras placed around your vehicle to constantly keep an eye on your surroundings. Some of them even act automatically to prevent collisions. Explore the VW Atlas Today! Now that you’ve had a taste of what the 2018 Volkswagen Atlas has to offer, it’s time to get behind the wheel and experience the whole package. Shoppers in Toms River, Brick, Freehold, and Neptune Township should give us a call at Toms River Volkswagen today to schedule a test drive! 1 22 city / 26 highway mpg (2018 Atlas S 2.0L, 8-speed automatic transmission). EPA estimates. Your mileage will vary and depends on several factors, including your driving habits and vehicle condition.